The deadline for submissions on this third round of public consultation conducted by Eirgrid is 5pm today. 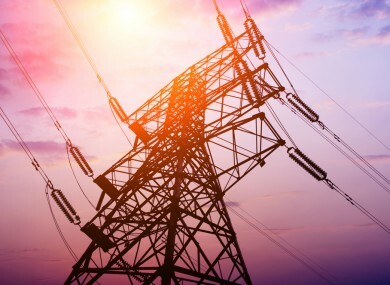 EIRGRID’S DEADLINE FOR for public submissions on the Gridlink project which will see 1,300 electricity pylons built between Munster and Leinster expires today. Both the Taoiseach Enda Kenny and Minister for Communications Pat Rabbitte have both weighed in on the national controversy over plans to erect new electricity pylons carrying overhead power cables. Speaking this morning on Newstalk Breakfast, Pat Rabbitte said that if underground cables are installed rather than overhead pylons then “electricity consumers must be prepared to take the hit on their bills over the next 50 years”. He said that that while underground cables are “feasible” the extra cost will go “onto the bills of you and I and every other domestic customer”. When asked if people who allow pylons be built on their land be compensated, he said that people who have roads build through their lands are compensated and it was something that Eirgrid would be assessing, but indicated that it was very much a possibility they would be. Rabbitte added that there were no health concerns over the building of pylons, as far as he is concerned, adding that a national agency of government, like that of Eirgrid, has no vested interest in exposing people to risk. The minister said reiterated his comment that there has to be a “trade off” between modern civilization and intrusion on the way we live. “We can’t not have power and electricity,” he said. When asked would he like to live next to a pylon, he said that as he lives in Clondalkin, it would be difficult to get the room to build a poll let alone a pylon. “I don’t think it helps the debate by me answering the question,” he said. The construction of electricity pylons across the country are coming under increased criticism by opposition groups, with a number of protests taking place. The deadline for submissions on this third round of public consultation conducted by Eirgrid is 5pm today. To find out more about making a submission click here. Email “Putting electricity cables underground will add 3% to electricity bills over the next 50 years, says Rabbitte”. Feedback on “Putting electricity cables underground will add 3% to electricity bills over the next 50 years, says Rabbitte”.